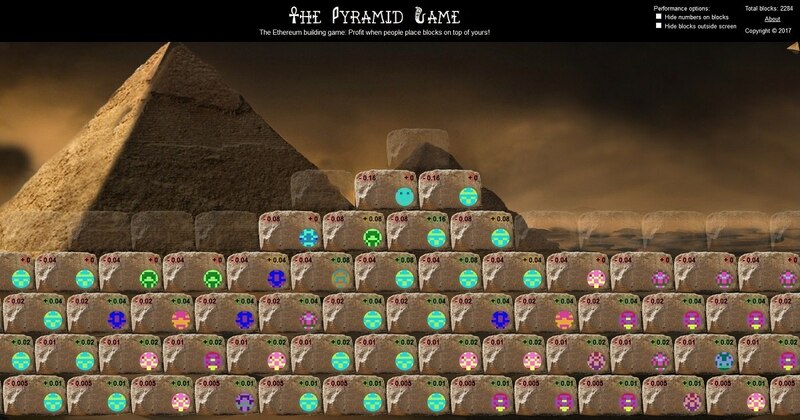 The Pyramid Game was originally launched on the Ethereum network in 2017. Since then, thousands of blocks have been placed by hundreds of users. If a block is placed on top of your block, you get half the value of that block (minus small fee of 0.5%).